Great news for the Italian Meeting Industry. 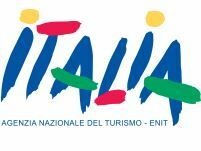 An agreement has been signed between the recenty created Italian Convention Bureau (CBI) and ENIT, the Italian Tourism Board. We welcome this long awaited cooperation between a public body and a privately owned association. A new business-oriented strategy that will bring fruitful results to the Italian Meeting Industry. This important achievement is due to the commitment of Carlotta Ferrari, President of CONVENTION BUREAU ITALIA , and a new vision by ENIT Commissioner, Cristiano Redaelli. Special thanks to Federcongressi&Eventi for their support.